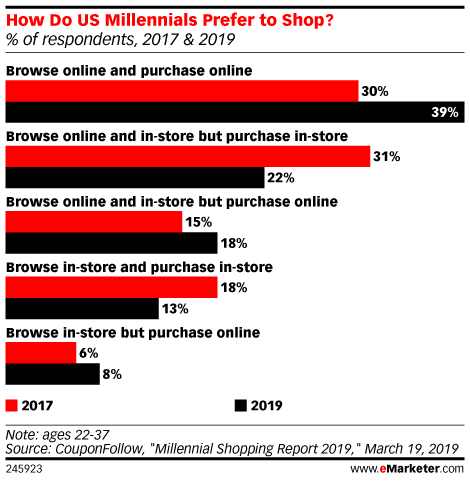 Data is from the March 2019 CouponFollow "Millennial Shopping Report 2019." 1,002 US internet users ages 22-37 were surveyed online during January 2019. CouponFollow is a digital coupon site.